The Shamli district of Uttar Pradesh has been included in the National Capital Region (NCR). With this, the total number of districts in the NCR goes to 23. The decision to include Shamli in the NCR was taken at the 37th meeting of the National Capital Region Planning Board held in New Delhi on December 4, 2017. Besides Delhi, there are at present 22 districts- 13 of Haryana, 7 of Uttar Pradesh and two of Rajasthan in the NCR. Cities in the NCR get funds at attractive interest rates from NCRPB for infrastructure development. The meeting was chaired by Housing and Urban Affairs Minister Hardeep Singh Puri. The meeting also decided that the forests should be identified as per the order of the Supreme Court and the ‘Aravallis’ are to be delineated in the entire NCR, as per the earlier decisions of the Board. 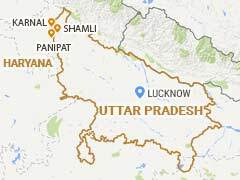 Thanks for sharing the informative posts.This site shares many information about the current affairs in Uttar Pradesh.We can get each and every updates from this site.The posts shred here are worth to read.And it would be useful to many people.Readers will surely like this.Keep sharing more posts.Looking forward to reading informative posts.